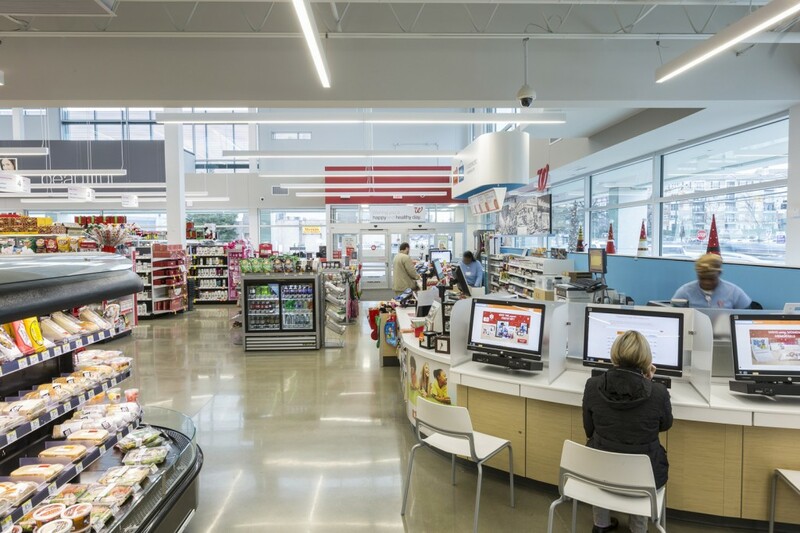 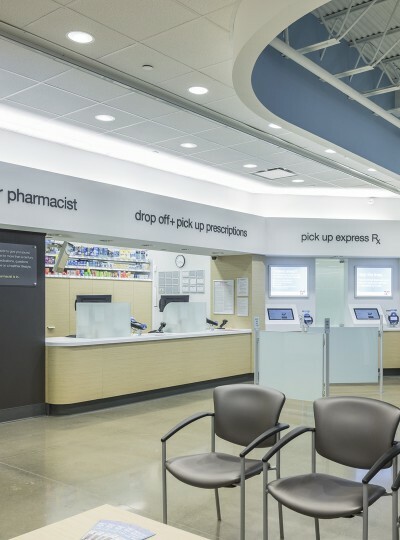 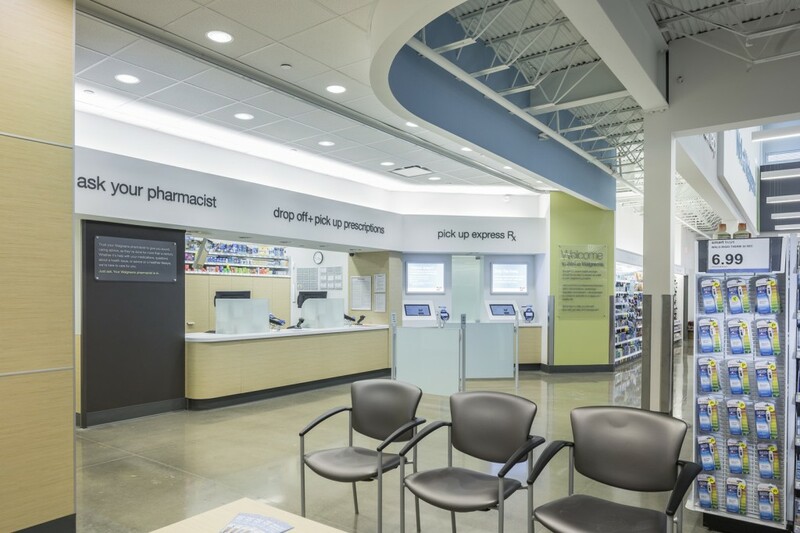 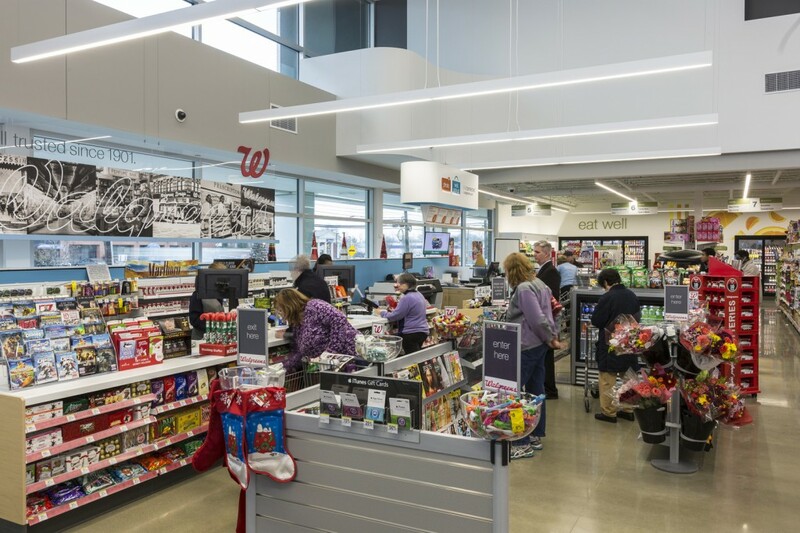 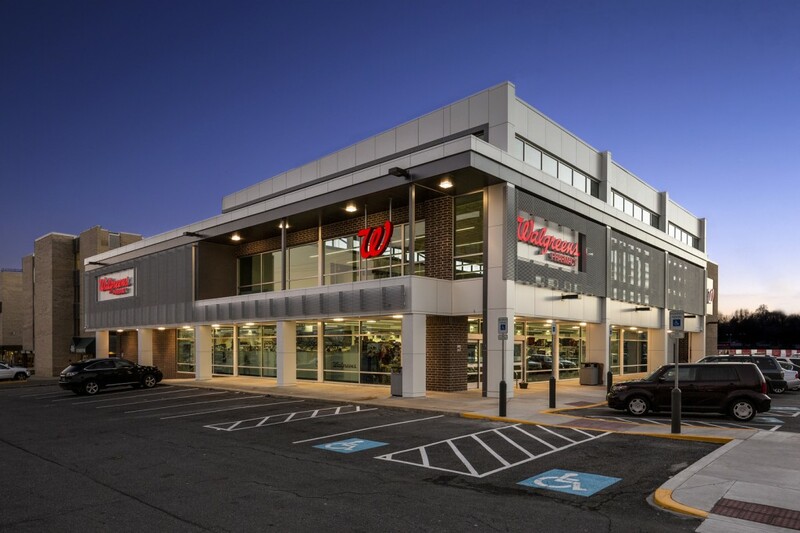 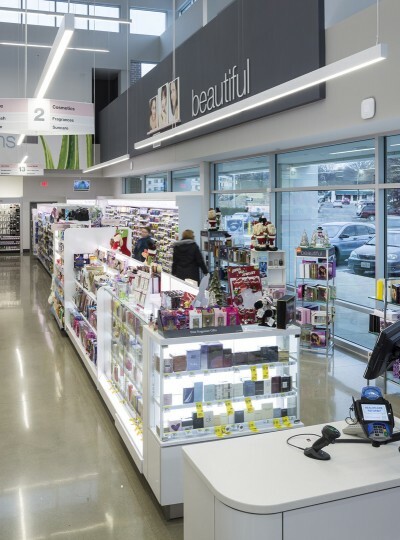 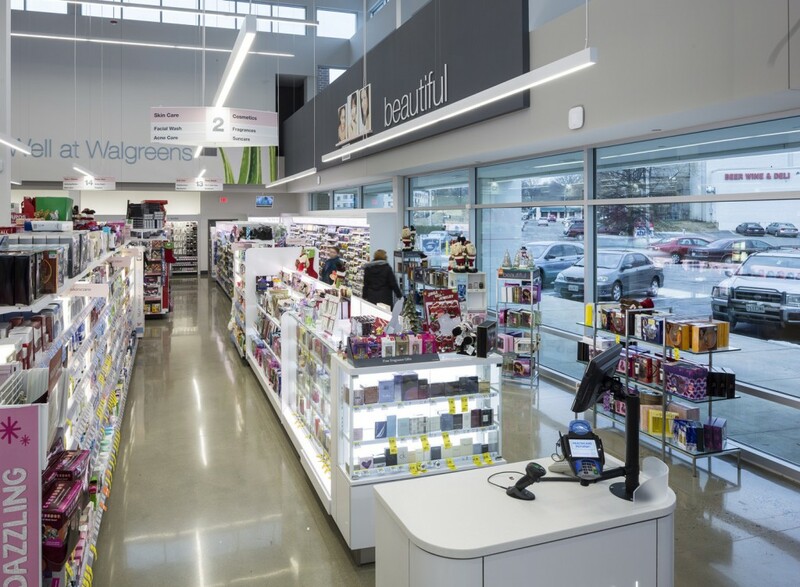 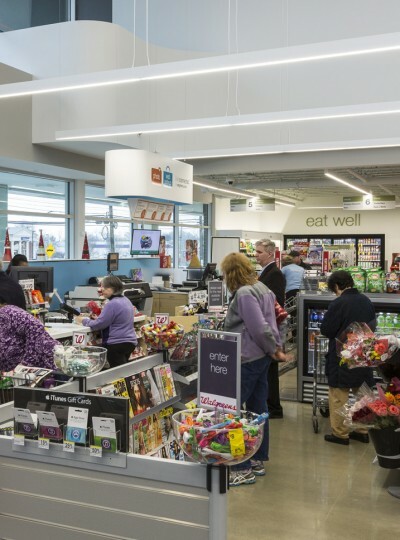 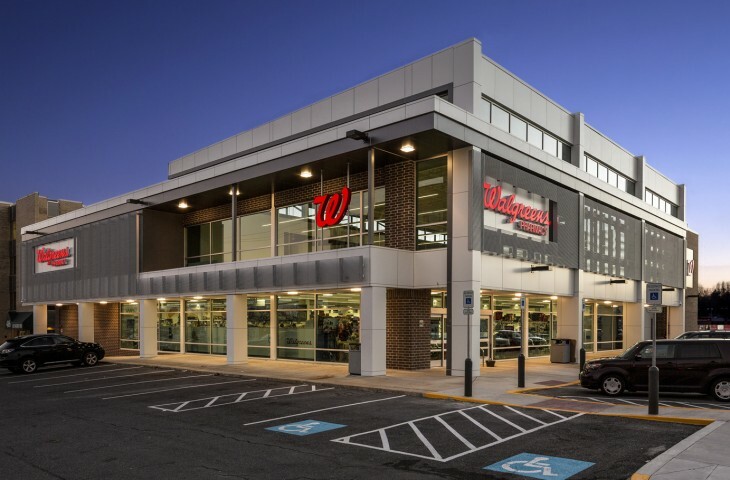 Formerly an abandoned two-story billiards hall, the marquee 13,300-square-foot Walgreens Rockville includes an enhanced ceiling with clerestory windows and 8-foot-by-1-foot slot windows that illuminate light at night. 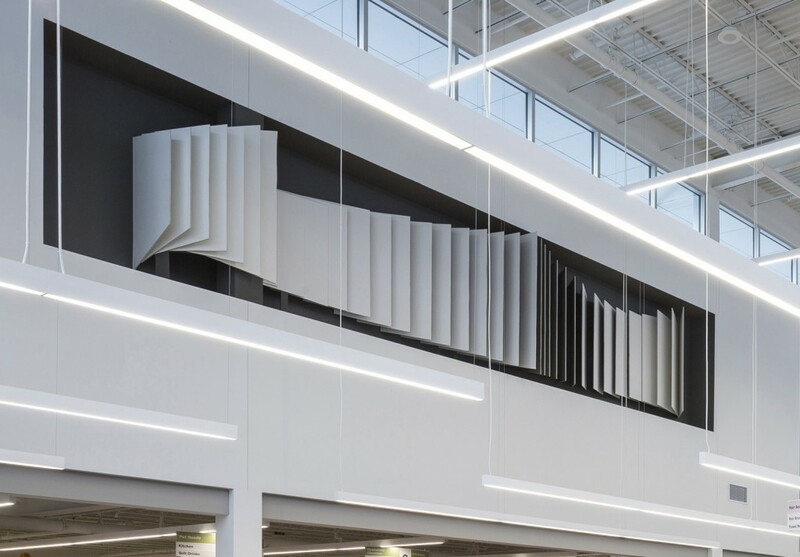 The linear design also provides views of the atrium. 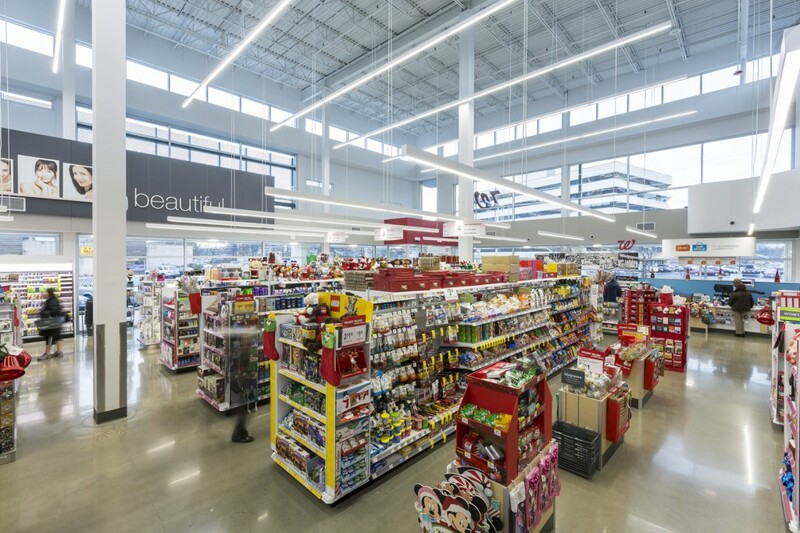 With lighting limitations by the city, site lighting was incorporated in the building and design. 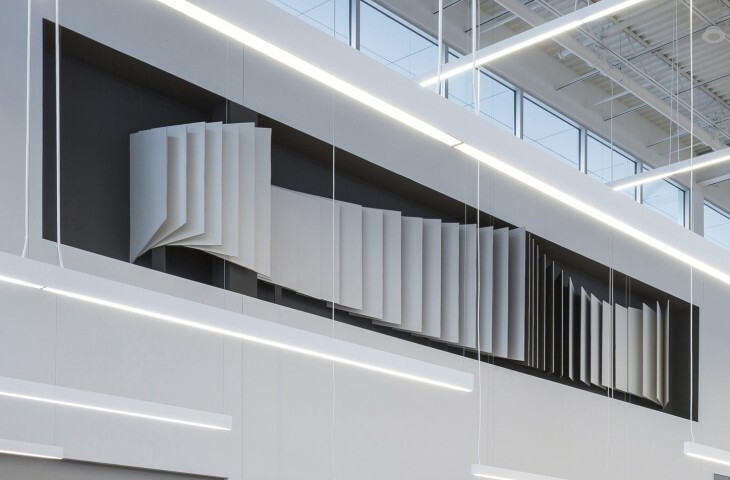 To fulfill the City of Rockville’s Art in Public Places requirement, a prominent 37-foot-long niche featuring local artist Greg Braun’s sculptural installation of flowing drywall panels hovers over the main store area.